Local Physical Therapist Dr. Greg Schroeder has started a campaign explaining his exercise myths for people 55 and older. 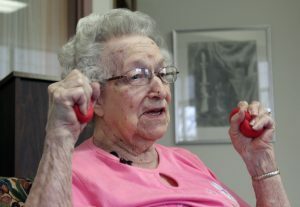 He said it is not true that the elderly are too old for weight training or resistance training. Dr. Schroeder said no population is peddled more bad information about exercise than seniors. He said it is a demographic that is attached to so-called risks related to exercise that usually aren’t true. There is more information at backatworkpt.com.